Our afterschool programs take place at BSNY HQ (W 91st between Amsterdam and Broadway) in our own private training facility (pictured below) that is perfect for instructional after school classes. We take a maximum of approximately 15 kids per class and have at least 2-3 coaches per class. Classes are broken up by age group and are focused on structured skill development, competitions, and gameplay. 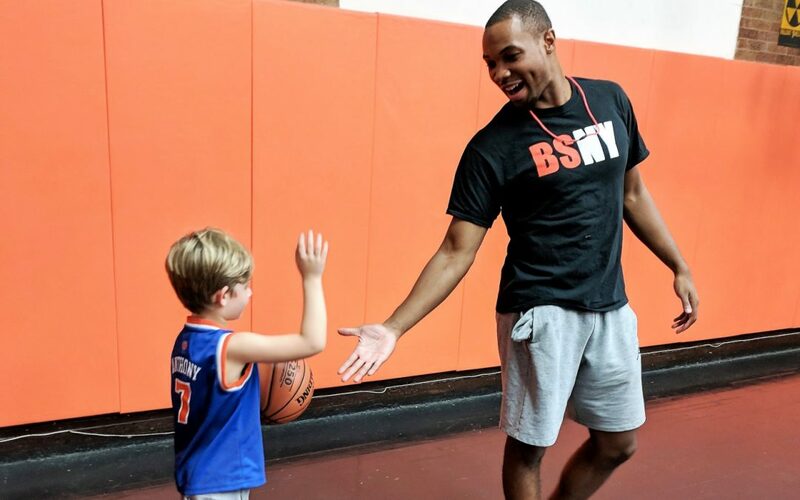 Our coaches are experts at harnessing the after school “bouncing off the walls” levels of energy into basketball skill development to help kids fall in love with the game the same way we have! Our afterschool classes are priced per season, and break down to roughly $55 for each class. Depending on the age of the player (which determines the day of the week they play on) the price will be different as certain days of the week have one more or one less class per season due to gym availability over the course of the season because of holidays. WE PICK UP FROM TRINITY SCHOOL AND COLUMBIA GRAMMAR!